Azim Premji Foundation has a District Institute and four Teacher Learning Centres in Puducherry. 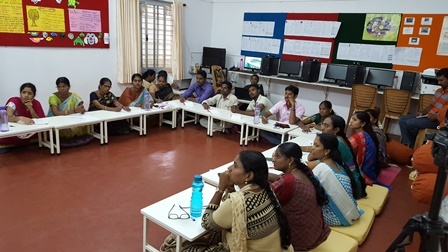 The Foundation was engaged in Puducherry via the Computer Aided Learning Programme between 2005 and 2007. 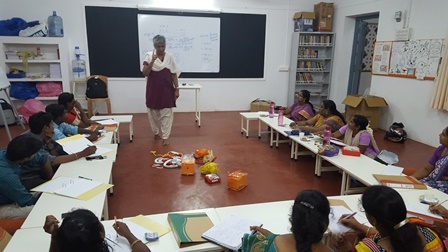 In 2012 a District Institute was set up in Puducherry in line with the organizational strategy to move from a “project” mode to an “institutional” mode to achieve educational reform. 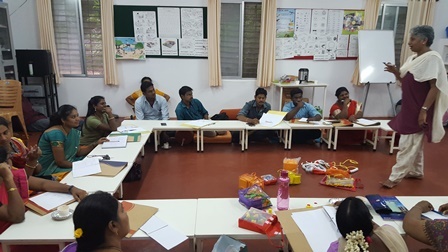 Currently, the Field Institute is focused on building the professional capacities of key stakeholders in the education system i.e., teachers, head teachers and functionaries through multiple modes of engagement such as workshops, voluntary teacher forums, exposure visits, seminars, teacher learning centres, etc. Puducherry is a small town on the Coromandel Coast, around 164 km from Chennai. It used to be a village of fishermen and weavers, which was later occupied by European powers such as the Portuguese, the Dutch, the British and lastly, the French. On November 1, 1954, the French possessions in India were de facto transferred to the Indian Union and Puducherry became a Union Territory. But only in 1963 Puducherry became officially an integral part of India after the French Parliament in Paris ratified the treaty with India. The union territory of Puducherry consists of four small unconnected districts: Puducherry, Karaikal and Yanam on the Bay of Bengal and Mahé on the Arabian Sea. Puducherry district is the capital of Union Territory and is 164 kilometers south of Chennai (Tamil Nadu state capital). The total population of Puducherry is 12.4 lakhs, out of which 31.66% reside in rural areas where as 68.33% reside in urban areas. The total literacy rate of Puducherry is 86.5% as per Census 2011. 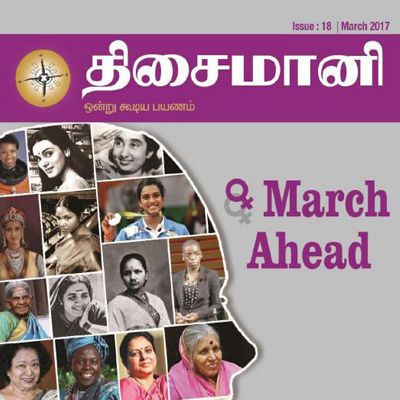 Male literacy rate is 92.12% while female literacy rate is 81.22%. As per the data of District Information System for Education, 16.06 % of boys and 8.39 % of girls drop out at secondary level. DISE also shows that 71.85 % of government school teachers own a B. Ed degree as their professional qualification while only around 0.5 % of teachers do not have any professional degree. Puducherry occupies the first position among all states in the country in Educational Development Index with an index value of 0.724.